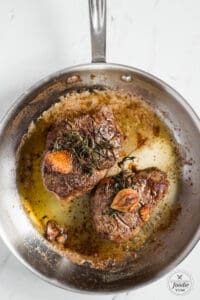 Filet Mignon seared in garlic herb butter on the stove and finished in the oven is the best Filet Mignon recipe that turns about perfect every time! I have never made nor have I ever enjoyed a better steak than this one. Filet Mignon is quite possibly my favorite dinner. Ever. 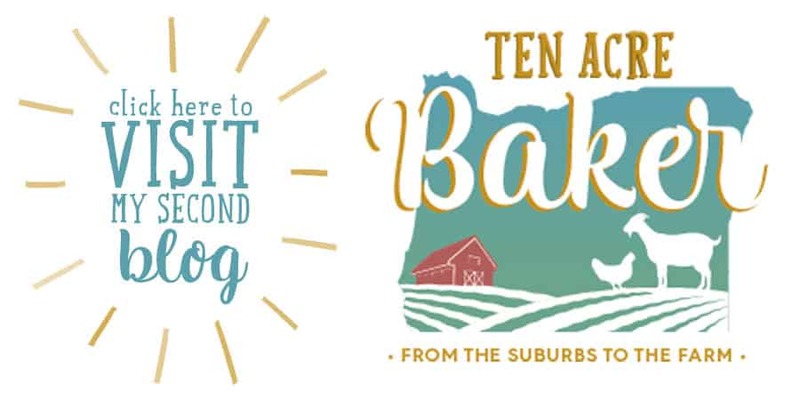 That’s a pretty bold statement from a girl who lives and breathes recipes. There’s just nothing quite like a perfectly cooked Filet Mignon steak. 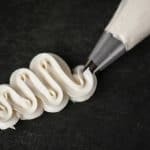 They’re so darn fancy, yet ridiculously easy to make. I can honestly say I’ve perfected this Filet Mignon recipe. 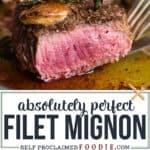 If you’ve never made Filet Mignon before, or you’ve made it and it didn’t turn out as good as you expected, be sure to try my recipe and let me know if you have any questions! In a nutshell, Filet Mignon is beef tenderloin but beef tenderloin is not Filet Mignon. Confused yet? Beef tenderloin refers to to the cut of beef taken from the smaller end of the tenderloin. The tenderloin refers to a small area of muscle near the back of the cow situated near the sirloin, top sirloin, and short loin. 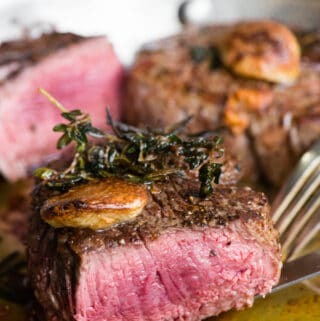 Filet Mignon is simply beef tenderloin that has been sliced into individual steaks. 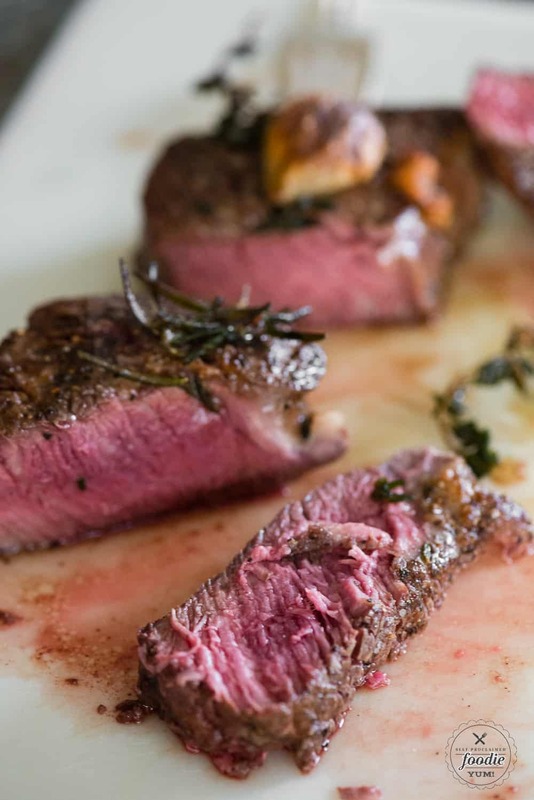 Filet Mignon steaks are often thick cut and are oh-so-wonderful. Why is Filet Mignon so expensive? The only thing holding me back from eating Filet Mignon every single week is the price. I bought a 4-pack of steaks at Costco and I paid $32. We’re talking Choice… not even Prime cut. That’s $8 per steak. Basically, not your average family weeknight dinner. But Filet Mignon is absolutely worth the cost every so often for a special treat or for a holiday dinner. 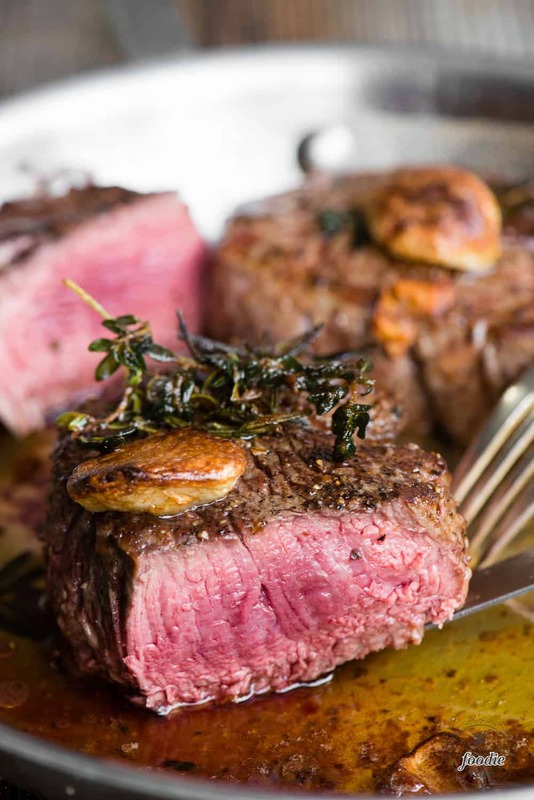 Filet Mignon is expensive because it is arguably the most tender cut of beef. 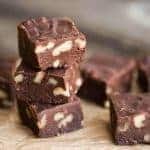 It is super tender because it is not a weight-bearing muscle and contains less connective tissue, thus making it more tender. Tender beef is desirable beef. Desirable beef is expensive beef. The fact that beef tenderloin is a relatively small cut compared to other beef cuts adds to the hefty price as well. How long do you cook a Filet Mignon? 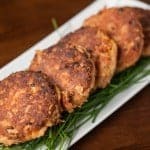 What is the starting temperature of the Filet Mignon (i.e. did you pull it straight from the fridge to the pan or did you let it come to room temperature first)? 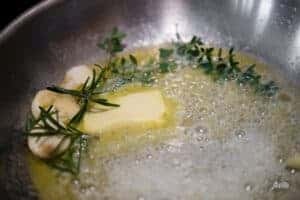 How hot can you get your garlic herb butter and pan without burning the butter? There are a few tips and tricks to this step… keep on reading to find out. All in all, Filet Mignon cooks up in about 15 minutes, start to finish. It truly is an easy dinner recipe. 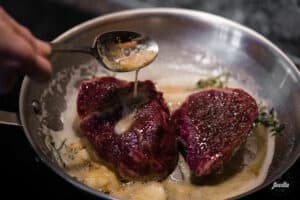 How do I pan fry a Filet Mignon? 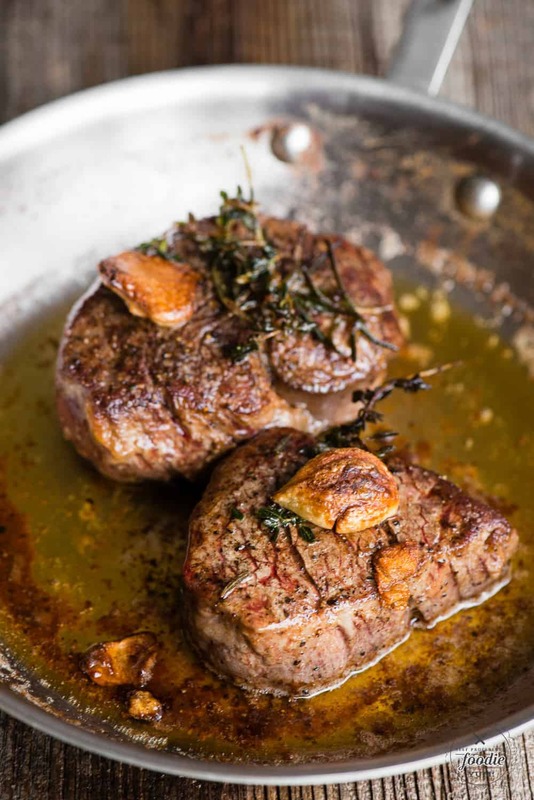 The absolute best way to cook a Filet Mignon is to pan fry the steaks in high quality butter with fresh herbs and garlic. Once the steaks get a nice sear on both sides you will finish them off in a hot oven until they’ve reached the desired internal temperature. This recipe starts by setting your Filet Mignon steaks out at room temperature. I do this at least an hour before I plan on cooking them. If the steaks are cold when you cook them, the outside will cook much faster than the inside resulting in steaks that are usually over cooked on the outside and under cooked on the inside. Generously coat the Filet Mignon steaks with kosher salt and freshly ground pepper. Preheat your oven. Heat a saute pan over medium high to high heat. Wait for the pan to heat completely through before starting to cook. Add the butter, smashed garlic cloves, and sprigs of fresh herbs. Continually move everything around to prevent burning. You want the butter to melt and foam but not burn. Once the butter reaches this point, add the steaks. The steaks will reduce the temperature of the pan and help prevent your butter from burning. While the steaks are searing, use a spoon to continually pour the melted butter to the top of the steak. You want to infuse all of that flavor into the meat. Once you’ve seared both sides to perfection, finish the Filet Mignon off in the oven. I much prefer Filet Mignon to prime rib steaks because Filet Mignon is so completely tender without the fat. Prime Rib is marbled with fat which makes it tender. I just find Filet Mignon easier to eat. I will admit, though, that my family goes crazy for prime rib during Christmas time. If you’re feeding a crowd, a prime rib roast is much easier to cook than a bunch of Filet Mignon steaks. Filet Mignon is definitely a good choice if you’re cooking for 2-4 people. You can’t enjoy Filet Mignon without a darn green vegetable. What’s more perfect than Garlic Parmesan Oven Roasted Asparagus? Take steaks out of refrigerator about an hour before you plan to cook them to allow them to come to room temperature. Coat both sides with salt and pepper. Preheat oven to 400 degrees F.
Add butter, garlic, rosemary and thyme to oven safe stainless steel or cast iron pan. Heat over medium high to high heat. You want the pan to be as hot as you can get it without burning the butter. Allow butter to melt, swirling frequently to prevent burning. The more you move the butter around, the less it will burn. As soon as the butter is melted, add both steaks to hot pan. Sear 2-3 minutes on both sides, constantly spooning the hot butter onto the steaks, and only turn once after they get nicely browned. Do not let the butter burn - keep it moving. Insert thermometer into thickest part of steak and transfer pan with steaks to hot oven. Finish cooking in hot oven. Remove when internal temperature reaches 120 degrees F for rare, 125 degrees F for medium rare, and 130 degrees F for medium. This should take around 10 minutes. Allow steaks to rest in pan for at least 5 minutes (temperature should rise another 5 degrees). I have to say those filet mignons look absolutely mouthwatering! They are done to perfection and love that they have a nice seasoned butter coating. 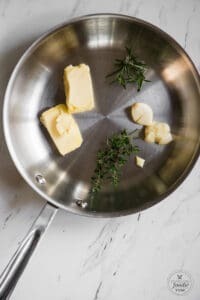 I have never tried cooking filets in a pan as we usually grill them and add the butter after taking them off the heat while they rest but I’m going to try your version the next time we have steak. This looks to die for! I love filet mignon, but I’ve been afraid to try it at home. Going to make this for Valentine’s Day! There is nothing my husband likes better than a good filet. Thanks for the tips on how to make them perfect! This turned out better than my favorite steakhouse- THANK YOU! So delicious – and cooked perfectly! As if I wasn’t hungry for lunch already!!?! This looks divine – going to HAVE to make! I made this recipe last night and I literally made my first perfect steak ever!! I have always managed to screw up steak in the past, but this was perfect. 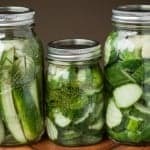 My family’s happy bellies thank you for this recipe!